CarGurus has 30,700 nationwide Journey listings starting at $2,799. Getting a bit long in the tooth, the Dodge Journey is on borrowed time. This 5- or 7-passenger, 5-door midsize crossover receives no major upgrades for 2017 and hasn’t been overhauled since the 2011 model year--there were even rumors the Journey would be phased out after this year’s production run. As of yet, these rumors have proven false, but it seems fair to assume the end is near. Which is kind of a shame, because despite its shortcomings, the Journey offers a lot of family-oriented value with its available all-wheel-drive (AWD) and features that are ordinarily found in competing models that cost far more. Look for the 2017 Journey to come in 5 trims, starting with the entry-level SE and climbing through the SXT, Crossroad, Crossroad Plus, and flagship R/T. All trims have roomy front and second-row accommodations, fairly high-end interior materials and workmanship, distinctive exterior styling, and a quiet, competent ride. Cargo space is a healthy 67.6 cubic feet with the rear seats folded, and there are plenty of bins, pockets, and cubbies for stowing smaller items. The SE, SXT, Crossroad, and Crossroad Plus come with a 173-hp inline 4-cylinder (I4) powerplant, while the R/T packs a standard 283-hp 3.6-liter V6 that's also optional on the lower trims. Front-wheel drive (FWD) comes standard, while full-time AWD is available on all trims with the the V6. Look for 166 lb-ft of torque from the I4, which is managed by a dated 4-speed automatic transmission with fuel-economy figures estimated at 19 mpg city/26 highway/21 combined. The V6 is mated to a 6-speed shiftable automatic transmission and puts out 260 lb-ft of torque. Look for an EPA-estimated 17/25/19 with FWD and 16/24/19 with AWD. Standard features for the 2017 Journey are modest on the SE and SXT trims, but each does offer a few extras not typically found on value-priced rival crossovers. Premium cloth upholstery, cruise control, telescoping tilt-wheel steering, and dual-zone air conditioning come standard aboard both lower trims, and the SXT adds 17-inch alloy wheels. The Crossroad, Crossroad Plus, and R/T offer additional features like standard automatic climate control, leather-trimmed upholstery, satellite radio, Bluetooth hands-free calling, a memory card slot, and an auto-dimming rear-view mirror, while the Crossroad Plus and R/T also include a fold-flat front passenger seat and video monitor. The R/T comes with standard upgraded leather upholstery, dual exhaust pipes, and a premium audio setup, while its sport-tuned suspension and steering calibration mean less roll through corners. Notable options include third-row seating (for 7 passengers) with tri-zone air conditioning, a power sunroof, rear-seat DVD entertainment, and GPS navigation. Higher trims also remain eligible for a Blacktop package boasting 19-inch wheels, a grille, and exterior trim pieces all done in gloss black. Standard safety equipment aboard the 2017 Journey is slated to include typical government-mandated features like antilock brakes (ABS), traction and stability control, side-mounted and head curtain airbags, as well as standard add-ons like active front headrests and a driver knee airbag. Unfortunately, this midsize Dodge mini-ute still lacks such upgraded safety technology as blind-spot warnings, adaptive cruise control, and lane-keep assist, all of which are available to most rivals in the segment. The National Highway Safety Traffic Administration (NHTSA) gives the current Journey 4 out of 5 stars for overall crashworthiness, while the Insurance Institute for Highway safety (IIHS) awards it its highest score of Good on all tests except the small-overlap frontal offset, on which it scored a worst-possible Poor. Perhaps the Journey’s closest challenger is the Kia Sorento, which offers 3 rows of seating and better power and refinement. For those who don’t need 3-row seating, there are a number of compact crossovers, like the Honda Fit and Ford Edge, that feature better fuel economy, similar cargo capacity, and more upscale features. With the Journey's expected discontinuation, look for Fiat Chrysler Automobiles (FCA) to continue fielding the Fiat 500X and Jeep’s lineup of terrain-busting small SUVs; if you want seating for more than 5, however, you’ll have to go with the full-size Dodge Durango. What's your take on the 2017 Dodge Journey? TheHorror If you're ashamed of your family, the Dodge Journey will allow you to imagine people view you as someone with an 'active lifestyle'. Hey, it's your midlife crisis; live a little! Rey Is there a AWD 7-passenger car/SUV/crossover with a V6 and all wheel drive that costs less than $27K? Good luck finding one...except, there IS one - Dodge Journey! 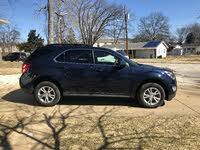 I have driven many types of 5- and 7-passenger AWD SUV's, all were liveable, but most were either too slow, too thirsty, or just plain too expensive for a guy like me. If I had my druthers, I'd have bought a used 2013 Toyorta Prado V-6 that I leased overseas for 3 years before I had to give it up. but it isn't sold in the U.S.A. Even if it was, it would have cost upwards of $30K to $50K to buy a used one, depending on the mileage. so here I am, back in the States, making less money and needing a 7-passenger AWD car that I can drive fast without sending me to the poorhouse paying for the gas. I have driven the Durango V-8 with an 8-speed transmission (stratospheric price and thirsty but sooooo powerful and smooth), Ford Explorer (nice, but also pricey), Chevy Captiva (Ha! What a joke), Jeep Grand Cherokee V-8 (equally thirsty and pricey, but so delicious to drive it made me drool), Dodge Journey (both engine types) and Ford Edge with 2.0 Liter Eco-Boost . I narrowed it down to the V6 Journey, or the 2 liter Edge. I have rented and driven both in LA traffic for two weeks each, and found each car's strengths and weaknesses. When I say "found" I meant "Drive It Like You Stole It" - I was rebelling from having to give up my 2012 Mustang GT). The Ford Edge was slow off-the-line, but once you got above 20 mph, it came alive with a vengeance. I loved how I could use the EcoBoost engine's highway acceleration to thread the Edge through openings in slow LA freeway traffic. I found myself driving at Sammy Hagar speeds before I realized it. It felt like the first time I flew a Piper Twin-Comanche - simultaneously exhilirating and SCARY! (for the non-pilots reading this blog, a Twin-Comanche is twin-engine version of what is already a quick, nimble, and highly manouverable piston engine light plane - except with twice as many engines, an insane idea, I know). The EcoBoost had 245 horsepower and 274 ft-lbs of torque, most of which is available from 3500 rpm all the way to redline. But in stop and go traffic, it was a slug! The slow-shifting 6-speed "SelectShift" transmission didn't let you "Select" and useless paddle shifters didn't help much either, but this didn't dissuade me from considering buying one. I didn't like the Edge's completely numb steering (which made me judge my turns using G-force instead of road feel and available grip. . The GPS navigation would not display vehicle speed, but what almost turned me off was an encounter with an obnoxious Ford salesman that made me feel like a pauper if I tried to get the TrueCar price (he must have thought he was selling a Lexus to some random actor from Beverly Hills). Nevertheless, I was going to have to return the rental car (more on that later) soon and needed a new car so I looked up the best price for an AWD 2017 Edge with a 2-liter EcoBoost engine - $26450. The good news was it was available with 0% financing for 72 months, but only $1,000 cash back if you use the 0% fiinancing.The bad news? I would have to cough up nearly 5 grand for a down payment. 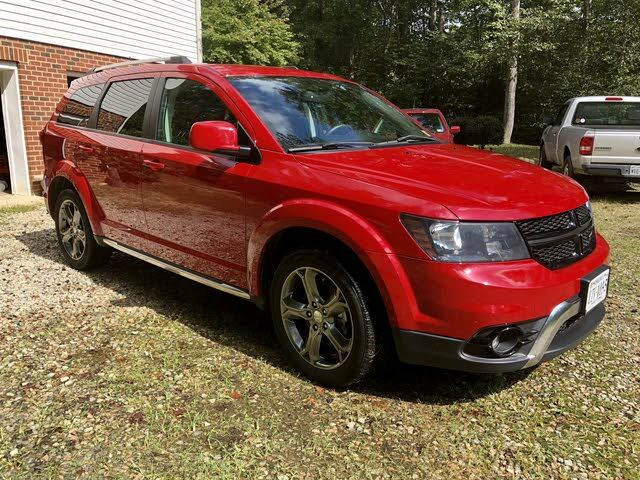 Lacking the 5 grand, I checked the prices on the alternative - the Dodge Dowag-er,,,I mean Dodge Journey. Much has been written about the Dodge Journey since it was introduced in 2009, most of it unflattering - cheap-looking, too old, too slow, too (insert pejorative here) etc. Forbes Magazine even named it one of the "15 cars you must NOT buy" - honest! Regarding the Journey being "slow", the 4-cylinder Journey with a 4-speed (gasp) automatic lives up to that reputation. I know because I drove an older Journey a couple of years ago. As luck would have it, two years later I drew a 6-cylinder FWD Journey Crossroad in the rent-a-car lottery and WOW - it was a totally different car. Then I drove it DILYSI-style and it totally changed my mind. The 3.6 liter, 273 hp V-6 (similar to the V-6 in the Challenger or Charger, but with 32 less horses), coupled to the 6-speed automatic was a game changer. It was silky smooth and quiet where the 4-banger was crude and noisy. Having this lively powertrain allowed me to discover the Journey's other secret - it handles like a decent grand touring car! Where the the Edge's handling was a guesswork exercise (steering was numb and suspension was stiff), the Journey's handling was a delight with smooth, light, and silky steering, but still with plenty of road feel. The V6 was smooth and torquey, and the suspension is the best I have ever driven. Compared to the Edge's stiff, almost noisy ride, the Crossroad's suspension was quiet, well-controlled and never bottomed out no matter how roughly I drove it over dips or humps (it's a rental, but check all the boxes for the optional damage waivers). Best of all, the Journey's entertainment system with 8.4-inch screen and U-Connect bluetooth was just what the doctor ordered, although it didn't come with a rear-view camera (amazing) and I never got to sample FCA's version of GPS nav (more on this later). I checked out the Journey AWD prices and incentives on TrueCar and lo and behold, you can get an AWD Journey SXT for under $27K with up to $6000 cash back (but only market interest rate financing) or lease one for less than $400 a month. Just one problem - you can't get one in So Cal - at least if you want one in SX or SXT trim levels. You can order one from the factory, but if you want one off-the-proverbial-lot, you have to spring for a GT AWD (much more money). Perseverance and an empty wallet led me to a Dodge dealer in L.A. willing to exchange inventory with another Dodge dealer in Lancaster that had the only SXT AWD in SoCal. Bad news was - it's white! Not the pearlescent embedded-mica white, but refrigerator white - (with the "Lookit me, biatch!" Blacktop edition, no less), or whatever Dodge uses for their paint code PW3. And I couldn't have GPS, an 8.4 screen or even a rear-view camera (soooo disappointed, at first). A little research reassured me that for a couple of grand, I can retrofit the 8.4" screen and rear-view camera if I order the pieces from Infotainment and throw some money at my Dodge dealer's service department. Bottom line is, I "dickered" (a slang term from 70's) for several days - yes, days - for the lowest possible monthly payment with no money down and drove away with a 2017 Journey AWD without feeling the need to shower afterwards. Surprising that it drove just like the rental FWD Journey Crossroad, so much so I had to look underneath to see if I actually had a rear axle and driveshafts. Plus the standard cloth buckets fit me so perfectly. All for $26K plus tax and license. Plus I found out thyat Edelbrock makes a supercharger system that boosts the 3.6 liter engine to 427 horses - SWEEEEEET! TheHorror I suspect Rey is a Dodge salesman. I can tell he is suffering from verbal diarrhea. Users ranked 2017 Dodge Journey against other cars which they drove/owned. Each ranking was based on 9 categories. Here is the summary of top rankings. Have you driven a 2017 Dodge Journey? One of the key fobs won't remote start. 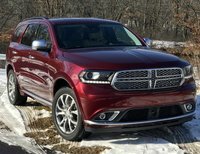 Where is my AWD drive switch button on my 2017 dodge journey? I just got stuck on a slight uphill in snow covered driveway. 2017 Journey Crossroads Back Up Camera. I have a 2017 Journey Crossroads. I want to add a back up camera. Which is the best and cheapest way to go? someone told we it was a cell phone charger, just lay the phone on it and it will charge. Kind of scared to do it until i know for sure.